Become More Organized & Make the Most of Your Time to Accomplish More! 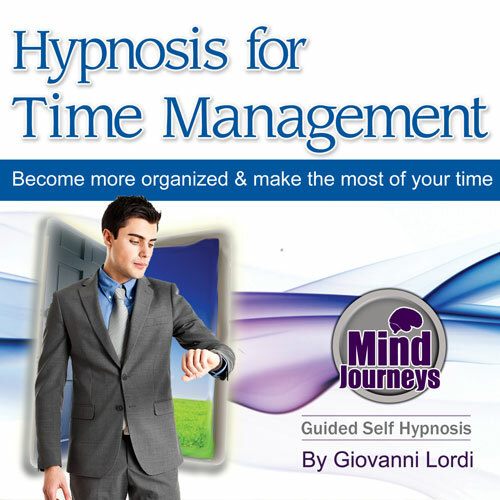 Giovanni created this hypnosis program by popular request for people who were disorganized, lacking time management and need a hand getting everything into order. The result is a powerful tool for bringing about new patterns of organization implemented subconsciously for permanent results. It is ideal for any person lacking time management skills - whether it be in business, home life, socially or in any other area. How Can Hypnotherapy Help Me Become More Organized? Put simply hypnosis (hypnotherapy) works at a subconscious level. With people who are time wasters or disorganized, it is the predefined subconscious patterns that cause the conscious patterns of disorganization or time wasting (and vice versa). Through this hypnosis program you will be able to reshape these subconscious patterns and override the causes of bad time management to put in place more beneficial ways of organizing your time. This is done under trance by listening to the recording, and through the many positive suggestions and metaphors designed to initiate change at the deepest level. Used over time, you will begin to notice that you simply make better decisions resulting in more motivated use of time to get more of the things you need done. "I am a leader, I am a master of time, I prioritize my time, no more time wasting, mistakes are over, negative thoughts out the door, I am successful, I am a winner, I am confident, I am happy, I can, I do, I will"